This bottle of Malbec Reserve comes with a beautifully crafted bottle holder. 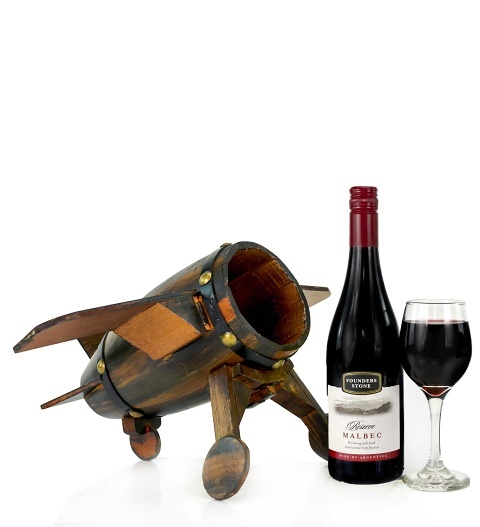 Not only will this fresh and fruity bottle of wine be enjoyed but the aviation-themed holder will be used time and time again! It&apos;s a particularly thoughtful gift for those who work in the aviation industry or enjoy flying, or just love planes,...or just love red wine! Available for UK next day delivery, this makes a wonderful birthday, anniversary, or even just to say thank you!